Small-scale fisheries play an important role in food security and income of coastal communities worldwide, particularly in developing countries. 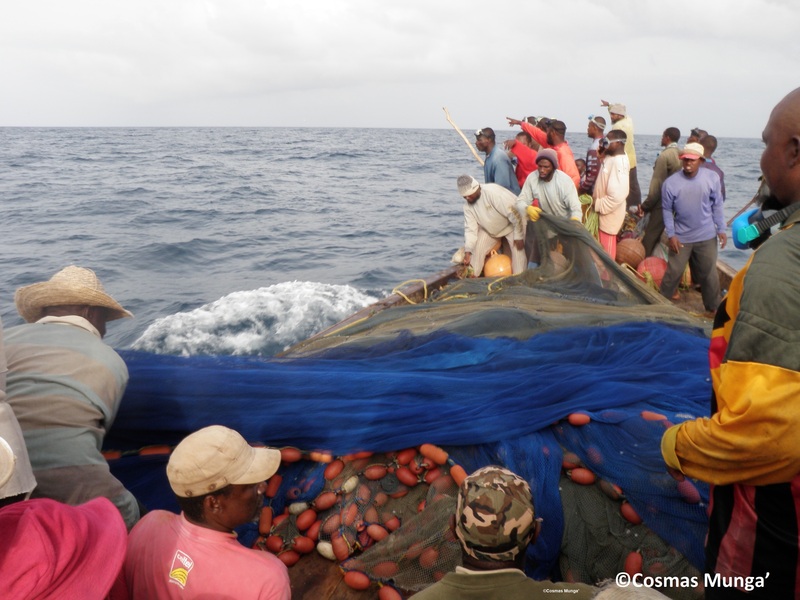 Balancing sustainability and conservation concerns with the socioeconomic needs of small-scale fishers is a dilemma that is commonly faced by fisheries managers. A new research published recently by Kenya Marine and Fisheries Research Institute (KMFRI), The Nature Conservancy (TNC), Technical University of Mombasa (TuM) and the State Department of Fisheries and Blue Economy (SDFBE) describes efforts being made to improve management of Kenya’s small-scale purse seine fishery also referred locally as ring nets. 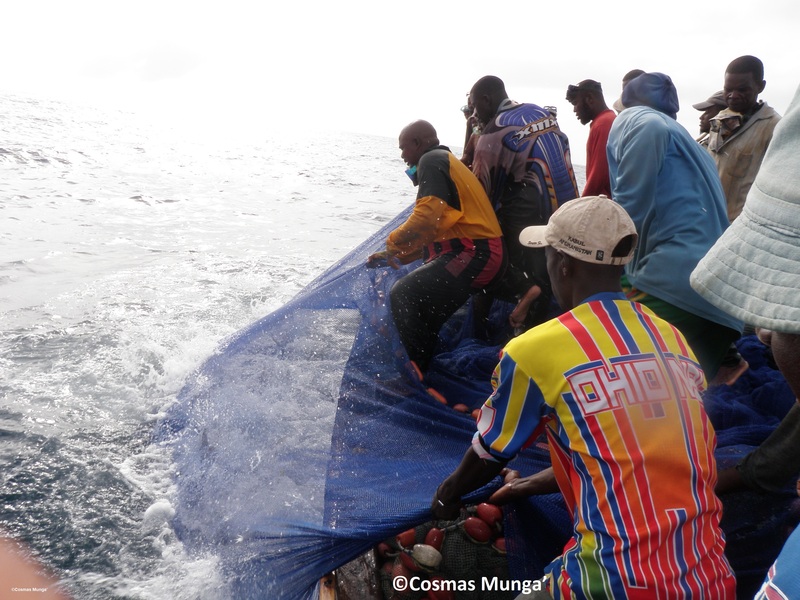 This study, for the first time, describes ring net fishing gear operation, catches, evolution and a 10 year+ consultative planning process undertaken to develop a gear-based management plan for the ring net fishery in Kenya. The study provides very important lessons on how to manage a data-poor coastal fishery. Ring nets were introduced in Kenya by migrant fishers in the 1990s through the Tanzania border and have spread northwards up to Kipini in Tana River County. Ring net fishing has increased from 1 gear and 15 fishers in 2004 to 40 gears and 861 fishers in 2016. The study found that ring nets, which targets coastal pelagics, yields higher catch rates compared to other artisanal gears. On average, daily catches range from 9 to 16 kg per fisher and 349 kg per fishing vessel. The fishery is mainly operated from November to March, within which the total annual production was estimated at ~1082 MT valued at USD ~1.1 Million, amounting to ~12% of the total marine fisheries production. 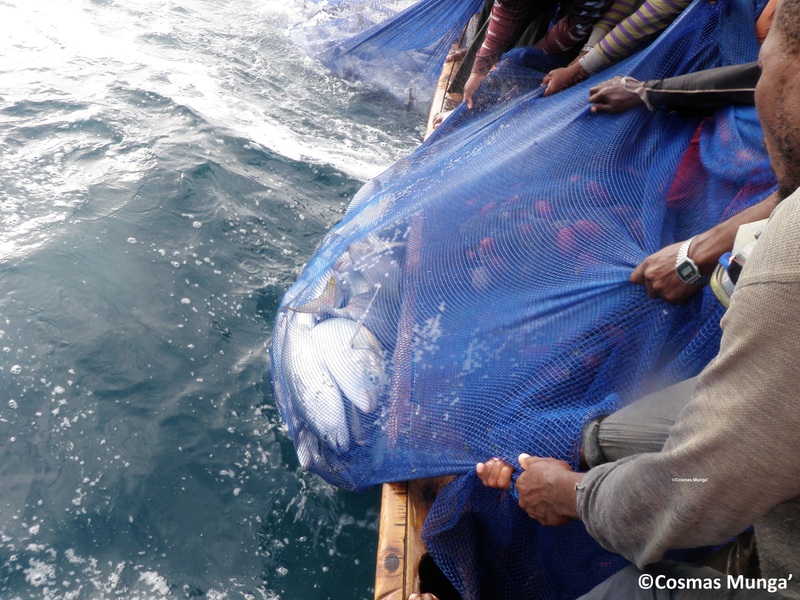 Perspectives on use of ring nets is mixed among different stakeholder groups. The fishery was deduced to have the potential of reducing overfishing in nearshore shallow areas while enhancing deeper waters fisheries production and fisher livelihoods. In contrast, conflicts related to gear competition and concerns about the environmental impacts of the gear were also raised. The Small-Scale Purse Seine Fishery Management Plan (ring nets) proposes a raft of regulatory measures including restrictions on gear dimensions and spatial controls. The authors call for precautionary and adaptive measures early enough whenever there is an emerging fishery due to a multitude of uncertainties involved. They emphasize the need to maintain transparency in fishery decision-making processes by frequently updating and engaging stakeholders. Future considerations should focus on harmonizing proposed ring net measures in trans-boundary areas. This work, spanning more than 10 years, was supported by the Government of Kenya through the Kenya Coastal Development Project (KCDP) financed by the Global Environment Facility (GEF), State Department for Fisheries & The Blue Economy (SDFBE), Flora and Fauna International (FFI) through East Africa Wildlife Society (EAWLS), The United States Agency for International Development through CORDIO East Africa, and The Nature Conservancy (TNC).